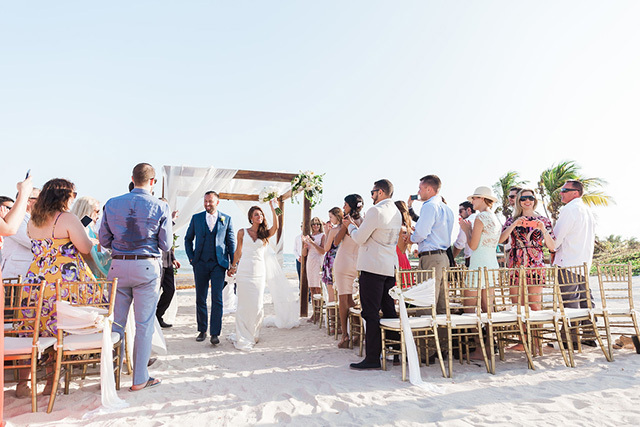 As you all may remember I hosted my best friends bridal shower last month and recently had the opportunity to travel to Tulum, Mexico to be part of her special day. 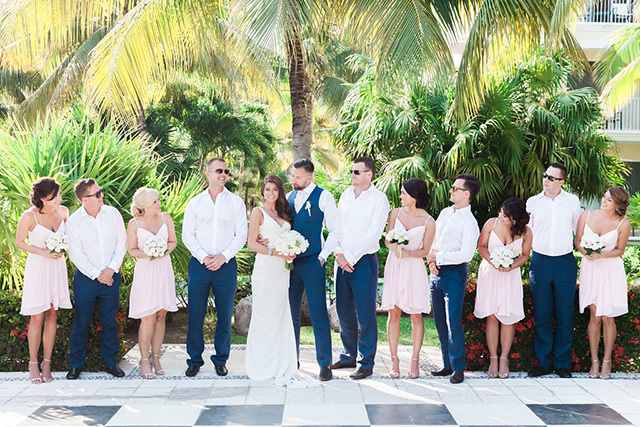 It was an incredible wedding with 50 people, which I must say is fairly big for a destination wedding. 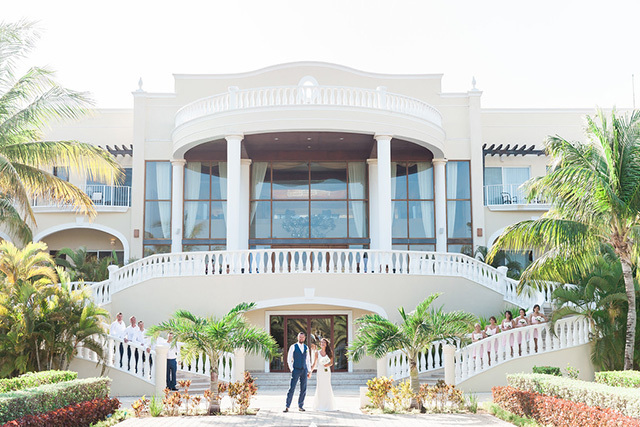 We stayed at Dreams Resort & Spa, which is the resort my girlfriend picked specifically for the wedding to capture the beautiful architecture. Do you recognize the bridesmaid flowers from anywhere? These were the exact ones that I used for my best friends bridal shower that I got at the dollar store! My girlfriend got a little crafty and added cardboard around the flowers to hold them in place and then wrapped them in gold ribbon. They looked so gorgeous that you would have never guessed they were fake! Aside from the wedding we got the opportunity to go check out the ruins in Tulum. As a group we took a local boat along the way to take us to the reef. Some people from our group even went snorkeling. I have a lot of photos from the trip, but I thought I'd share just a few with you all:-). If you look close enough you can see that my forehead is quite red. Well stupid me didn't put enough sunscreen on my face and I was left with a burnt forehead that eventually started to peel near the end of the trip. Overall the trip was incredible and we hope to visit Mexico sometime again in the future. 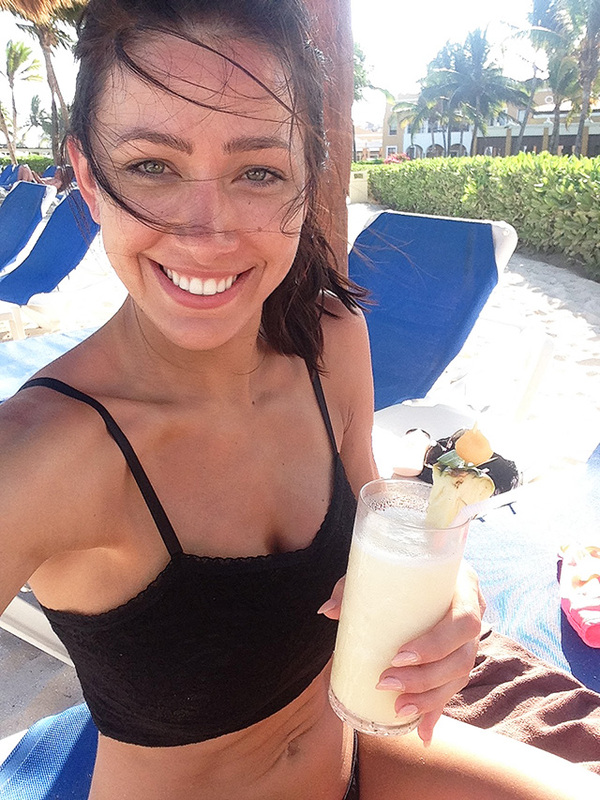 This time we would like to possibly stay in Cancun as I've been to the Riviera Maya twice. There was also a lot of seaweed at our resort which made it difficult to swim. Have any of you visited Mexico? If so what part and where did you stay? I would love to get your recommendations on some great resorts. 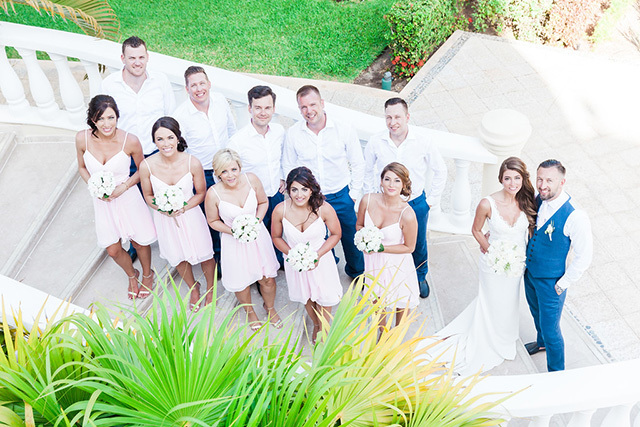 That is one beautiful wedding, nice pictures too! Your trip looks so fun! This wedding is very beautiful also. What a great wedding photographer. I have never been there, but it looks beautiful. Sorry to hear about your sunburn. I guess that's part of having fun in the sun sometimes. Thank you for sharing such a gorgeous event with all of us here. He is absolutely amazing and I was so glad to see him again after so long! So much talent, it's incredible. Tulum is very beautiful and there is so much to do. Next time I go I would like to take an opportunity to leave the resort more and check out all the cool things Mexico has to offer. I hope to get to Mexico at some point in my life. It looks so beautiful there. These photos are absolutely gorgeous and you all look so stunning! What a fabulous time everyone must have had. Thank you for sharing your journey!! You should definitely try and make it out there as soon as you can Amanda! You would absolutely love it:) After we finished our trip, my boyfriend and I were already talking about booking another one because we had such a lovely time. Glad you liked the photos! I have to agree though, they are so gorgeous. Thank you Arianna! I have to agree with you on the bridesmaid dresses and how stunning they are. I was super happy with my girlfriends choice. Thanks for much for stopping by! These photos are wonderful! What a beautiful bride and wedding. It looks like you had an amazing time! Gabrielle you are too cute! Thank you! I'm really glad you loved all the photography - my friend definitely did an amazing job and I am so happy he was able to capture my girlfriends wedding. 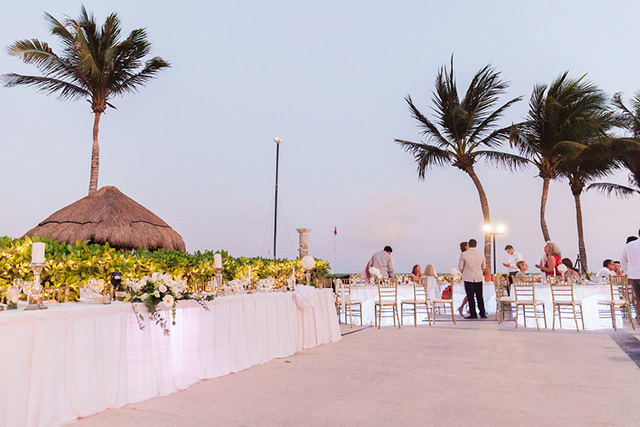 aww I love weddings by the beach and Tulum is great!, my friend is the wedding planner at the Dreams hotel there probably you meet her :) you all look very pretty I'm happy that you enjoy Tulum there's many things to visit around there! 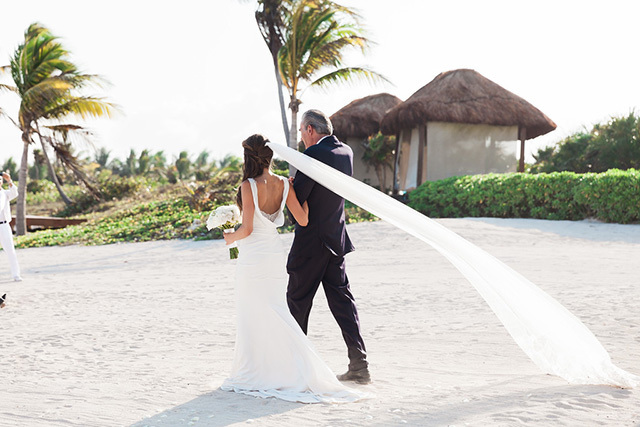 Weddings by the beach are very beautiful and yes so many things to do in Tulum that unfortunately we didn't get a chance to do. Definitely next time when we visit Mexico. Thanks so much for stopping by! Thanks for visiting my blog and leaving nice comments.. Thank you Melody, but this was my best friends wedding.. not mine! Lol. Thanks for stopping by! I literally like destination weddings. I also celebrated my wedding party at grand Las Vegas Weddings venue, and it was one of most excited day for me and for my guests. We didn’t spent much time in booking the venue, as we got fine venue from online. That's exciting! Vegas, super cool. 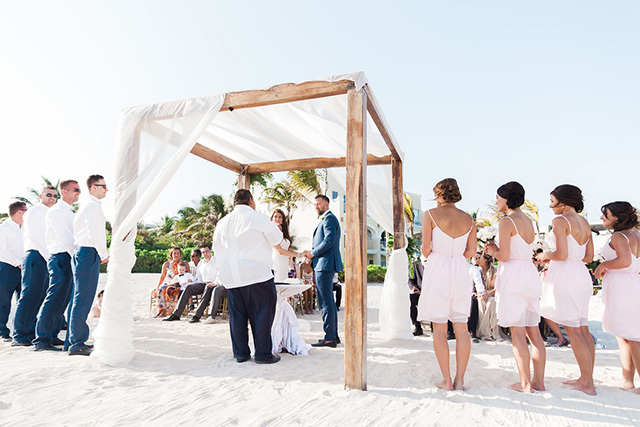 This was my first destination wedding and I really liked it because it was a small group, which I liked because I felt like the bride and groom had the opportunity to chat with everyone a lot more. 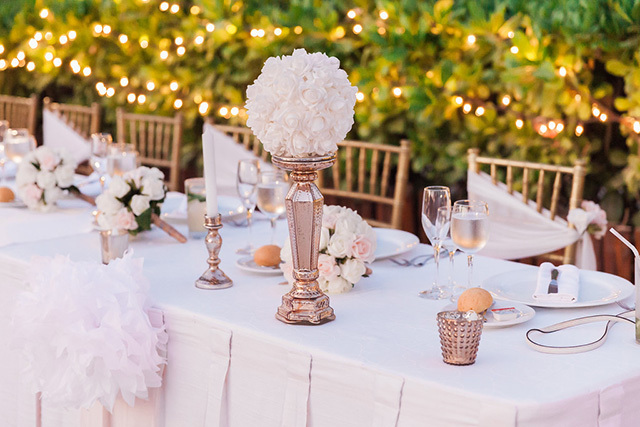 Thanks for share your post here with us, really very nice destination for wedding reception.